Spring is all about fresh ingredients and simple recipes for me, especially when entertaining. One of my favorites right now (along with many of my friends!) is avocado toast; it's the perfect party food. I make a bunch of slices before my guests arrive, slice it up (in halves or quarters), and serve it up. 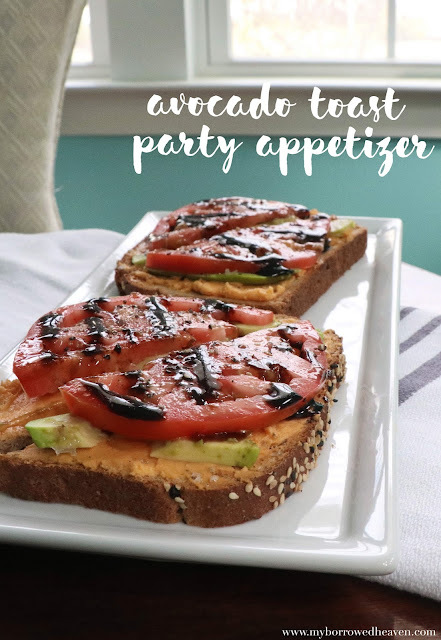 I'm excited to share my favorite avocado toast with you today, and the one special ingredient: Kaukauna® Cheese Spread Cups. Kaukauna® is a delicious and easy entertaining solution made with 100% real cheddar. It's delicious by itself or part of a recipe, especially my fresh springtime toast. 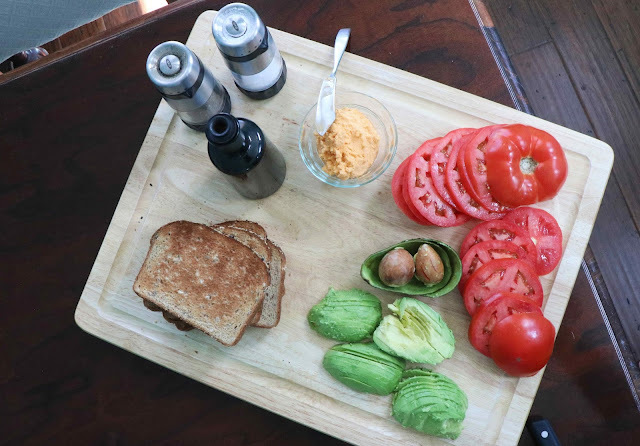 It makes the best "secret" ingredient for my toast - avocado + cheese is the best combination! 1. 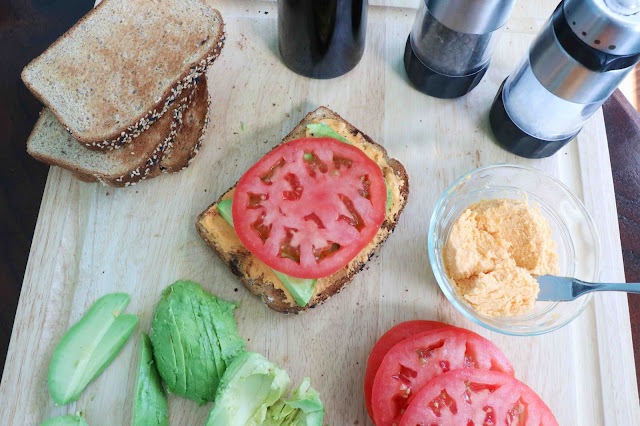 Thinly slice the avocado and tomato. 2. 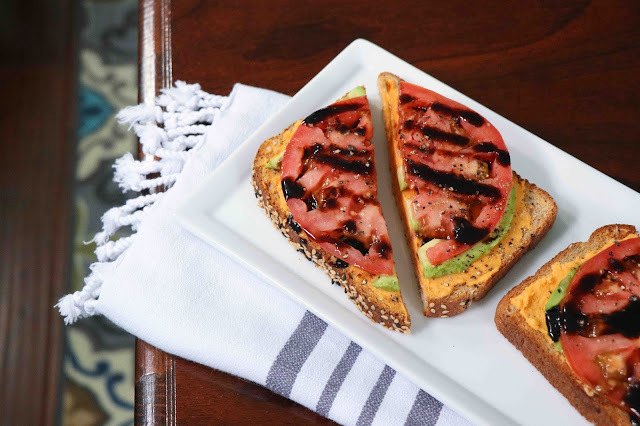 Toast the multi-grain bread and spread a layer of Kaukauna® Cheese Sharp Cheddar on top. 3. On the cheddar cheese spread, place slices of avocado and tomato. 4. 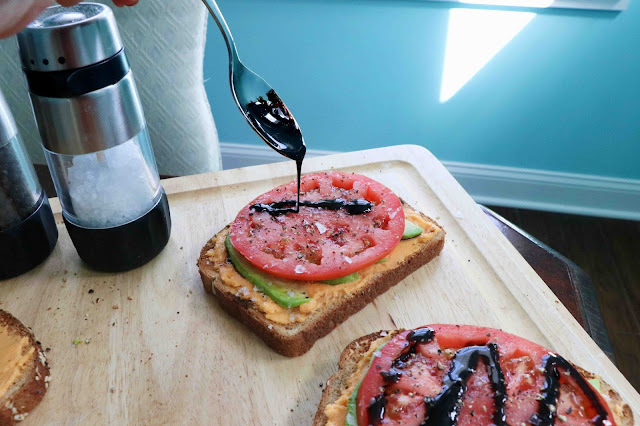 Sprinkle salt and pepper on top of the toast as well as a drizzle of balsamic vinegar. 5. 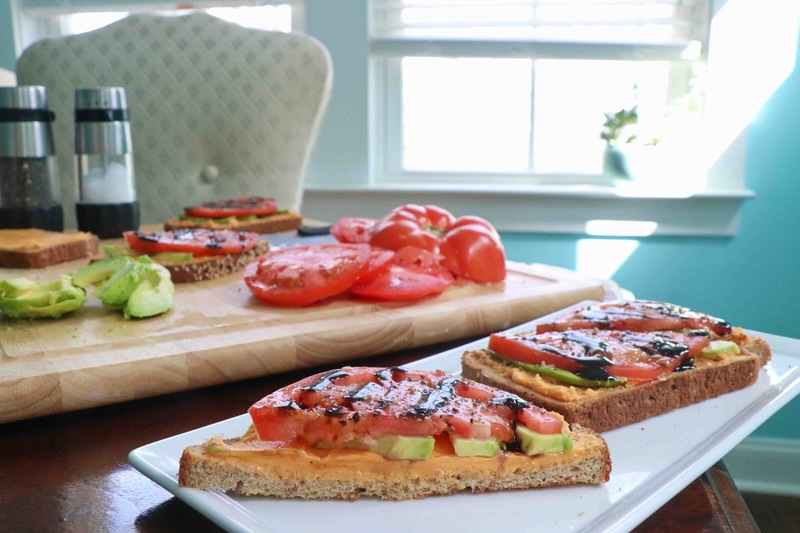 Slice each piece of toast diagonally and serve to your guests! 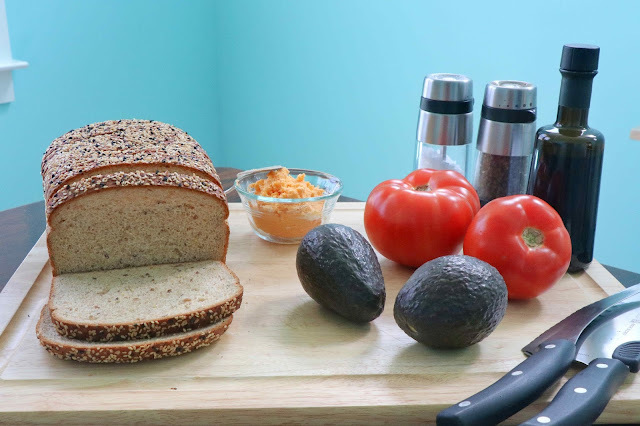 If you don't count the salt and pepper, this recipe only has five ingredients, and this recipe only takes as long to put together as it does to toast the bread! 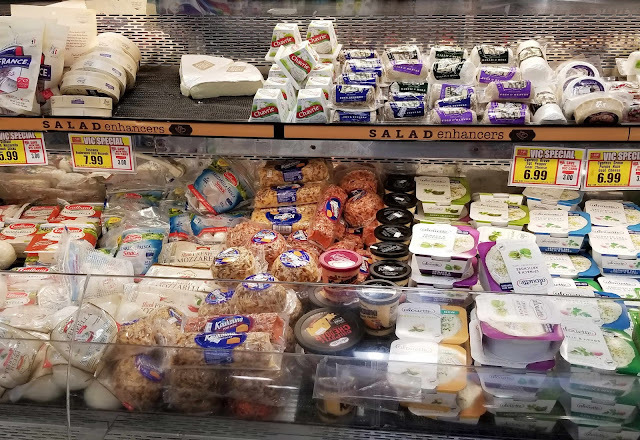 I purchased all of my fresh produce and Kaukauna® Cheese Sharp Cheddar Spread Cup at Harris Teeter. You can click here to check out the Ibotta offer and earn rewards for your next shopping trip! What's your favorite easy entertaining solution? Check out the Kaukauna® social hub for tons of seasonal recipe and how-to party ideas! Looks delicious! 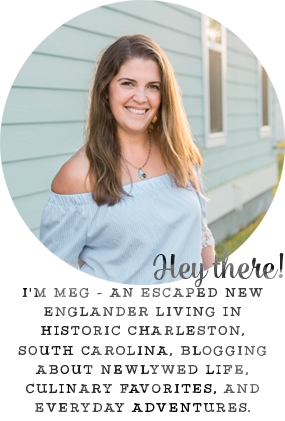 Thanks for sharing, Meg! I do something very similar but use hummus and roast the tomatoes. So easy and surprisingly delicious! You are speaking my language. That's all I wanted for dinner last week - had to go to the store to get some good bread like that. ... now I'm craving it again! Oh man!!! This is a lot fancier than how I tried some before. Totally need to do this! Okay this looks pretty simple so that means I gotta try it since I can probably successfully prepare it lol! Yummm!